Dorottya Ujszászi (Dotty) was born in Hungary, grew up in Cuba. As a ballroom dancer in 2001 she became the first couple with Andras Faluvegi in The Hungarian National Raking List. In 2002 graduated as an award winning graduated dancer at the Art School of Ballet Győr. She performed at Budapest Dance Theatre, PR-evolution, Inverse Dance, Badora Dance Company and Hungarian National Ballet modern dance events. 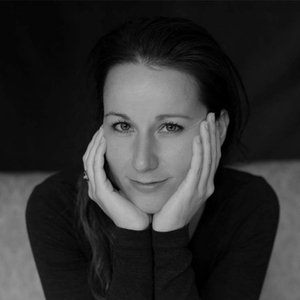 Abroad she worked in projects for The English National Ballet(GB), Hubert Essakow(GB)and Quan Bui Ngoch’s projects for 3art3 Company (CH). 2011 debuted as a professional salsa dancer with Leon Rose and became a world vide employed artist. Performed in 46 countries. They were the semi finalists of UK's 'Got to dance 2013'. She is the dancing double of Rachida Jones in the movie 'Cuban Fury'. Her main focus has been recently her self-developed dance style CONSLA©(contact dance, contemporary dance and salsa partnering). She is the director of the professional - Dot.Consla Company, the company was resident of Swatch Art Peace Hotel, Shanghai, was represented at Venice Biennale 2015. She leads the amateur company too - Consla Core. She choreographed her first consla dance theatre piece - Click- for Central Europe Dance Theatre(2015), and [email protected] (2016) for Dot.Consla Company. She is an internationally known artist of contemporary zouk with Pasty since 2014. Teaches Pilates, CONSLA - connection in partner dancing, salsa, contemporary dance for all level.